Also check out our VBike Fleet page and our pages about bikes for seniors, commuters, and business. 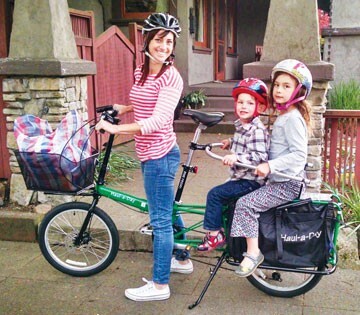 Yuba's Spicy Curry is a great new cargo bike with a mid-drive system. 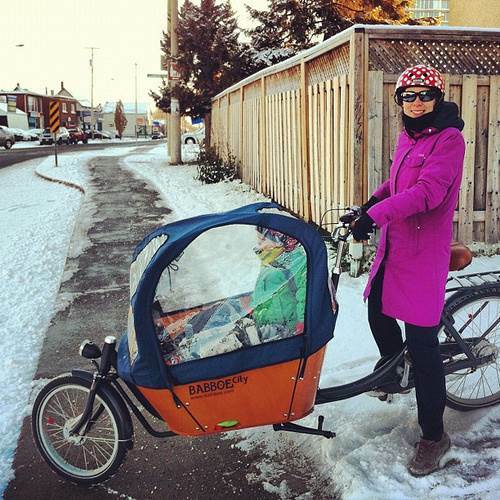 This is one of the 1st VT ready cargobikes. The ElMundo by Yuba is an excellent longtail with lots of great features. 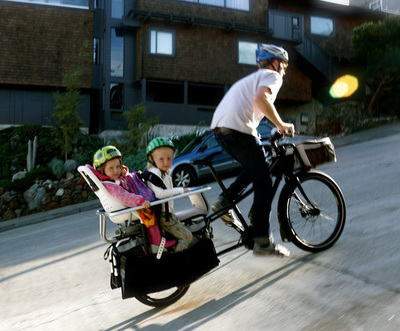 The front basket can haul at least 50 lbs and comfortably carries two children (you can add a third if necessary). 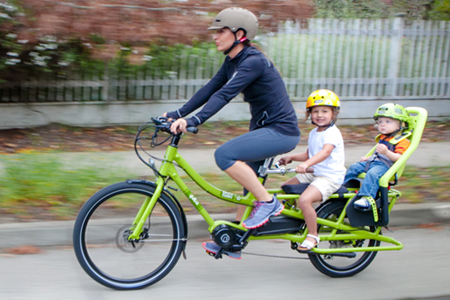 The new Xtracycle 10E has a similar mid-drive system made by Bosch. These longtail cargo bikes are the sort of hill climbing bicycles we need in Vermont to get the kids around. The Xtracycle Edgerunner also can come with and optional sidecar for extra cargo. The Madsen is a champ for hauling the kids. We’re Looking to have a couple w/ different e-assist setups. This one has the Ezee front hub motor. The Madsen now has a nice canopy to keep those pesky passengers warm and dry. 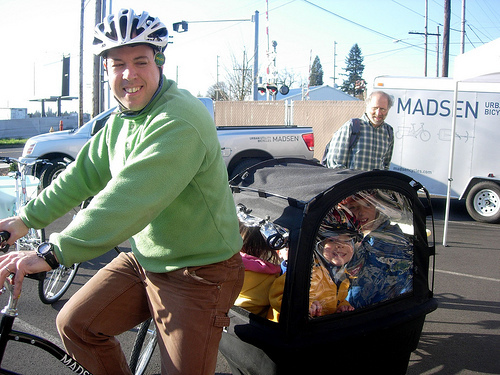 The Yuba Boda Boda is a great example of a mid-tail bike. It's shorter and lighter that the longtails. 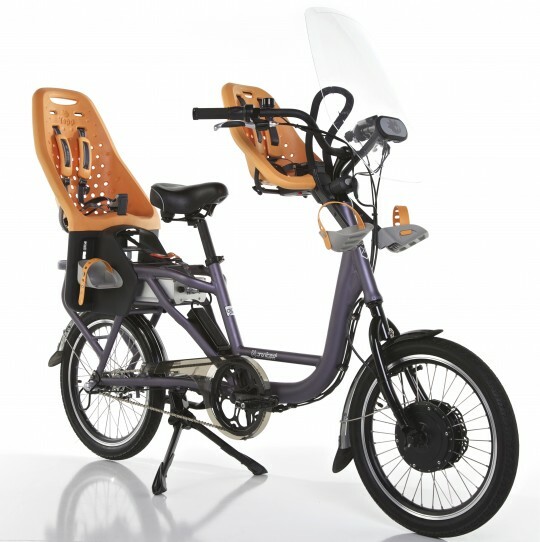 In fact, the Boda Boda is probably the lightest cargobike on the market. 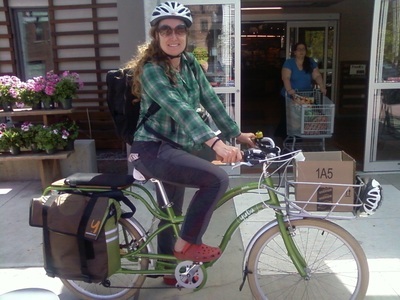 The Haul-a-Day is a new longtail bike with 20 inch wheels from Bike Friday. 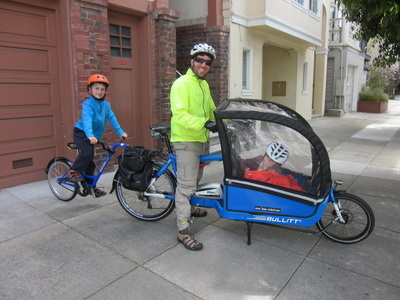 Great versatile machine for carrying kids and short riders. And look at the size of that front basket. Jucied Riders offers a real nice e-assist cargobike in a nice small package. Great if you have limited space. The Bullitt from Denmark has set a high standard for the bakfiets (or Long John) cargobikes. 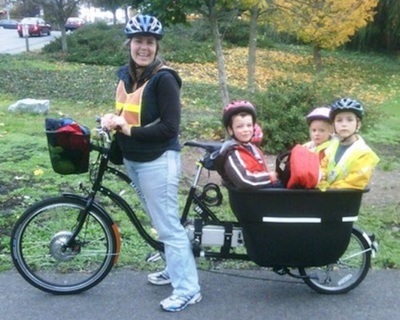 These bikes are great for keeping the kids dry. 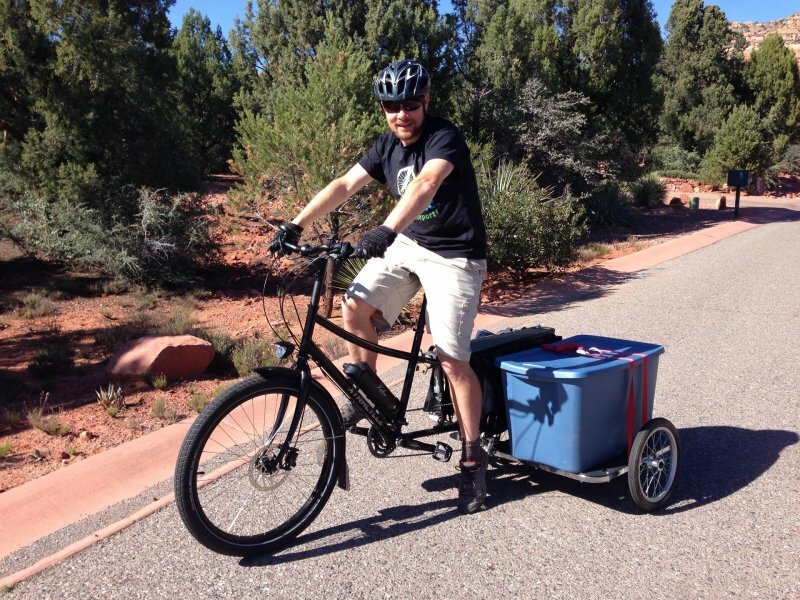 The Bullitt is now available in the US. 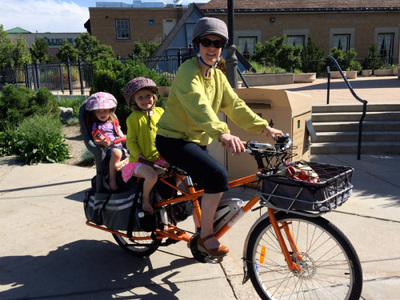 We’re looking to have some great Long John bikes like this one from Babboe. 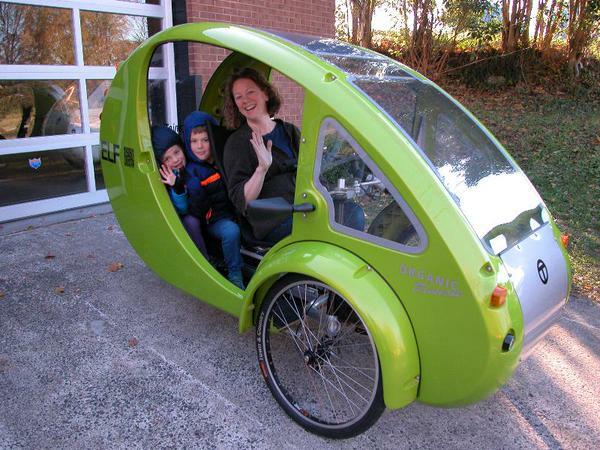 The weatherproof canopy is an excellent feature.